As well as books, newspapers, reference materials and computers, Westhoughton Library offers its facilities to the community. Be it for regular exhibitions or for sessions with one of the many groups that are based there. All events are free and there's no need to book unless otherwise stated. Autism Friendly Sessions – Spectrum Buddies is a new group made up of parents, friends and siblings who want to help our primary school children with Autism Spectrum Diagnosis (ASD) learn new social skills and make friends; offering the children small group play and social groups in order to meet new friends and maybe find a buddy to play with. Plans are to run regular sessions twice per month on Thursday evenings. Introductory drop-in session to meet the volunteers running the session too place Thursday, 3rd January. Email spectrumbuddies@gmail.com for more information. Anti-Scam Talk - aims to give people information to protect people and prevent them from becoming victims of online or telephone scams. Tuesday 12th February 10:00am to 11:00am. ICT and Biscuits - Drop-in session where people can bring in any computers/phones or ask basic technology questions they have, and advisers will do their best them solve tech issues or give them some basic tech help. Thursday, 14th February between 11:00am and 1:00pm. Tea and biscuits will be available. Baby Stay and Play – Aimed at parents with children aged 0-2, an interactive story session and singing. After the stories and songs have finished parents and children are encouraged to stay, play, chat with one another. Drinks and biscuits are provided. Last Thursday of each month 10:00am to 11:00am. Summer 2018 saw five weeks of Friday afternoon fun and educational sessions for children during the school holidays with Fantastic Fridays, from Dinosaurs to Magic Tricks to Disguises; hopefully these popular sessions will return in the future. Children's Coding Club - Fridays 3:00-4:00pm – summer holiday sessions to help boost children's IT skills and familiarity with computer coding. Bolton Council One-Stop Shop - following a review and reorganisation, the library is to take on Council services (benefit, housing enquiries, etc.,) previously available at Westhoughton Town Hall. Staff have undergone training, and a new desk and equipment installed, staff will be able to help with enquiries, with more complex matters including Universal Credit dealt with via a direct phone link to the Bolton Centre. The service will operate during existing library opening hours. Westhoughton Library is often used by local groups to stage exhibitions… such as the current Westhoughton Art Group exhibition running on the upper floor throughout March. It features the work of local artists producing work of extraordinary quality during the weekly arts classes around Westhoughton. A variety of styles and subjects. There will be occasional live demonstrations by tutors. Some of the pieces of art will be available for sale. As part of the 2017 exhibition, 'Aspects of Howfen', a new, historic Westhoughton Timeline was unveiled (23/9/17). It is now a permanent feature, promoting Westhoughton's rich heritage and showcasing the dedicated and forensic work of the Local History Group, certainly one of the north west's premier heritage groups. There are annual art exhibitions in the spring by Westhoughton Art Group, showing off the impressive work of local artists. 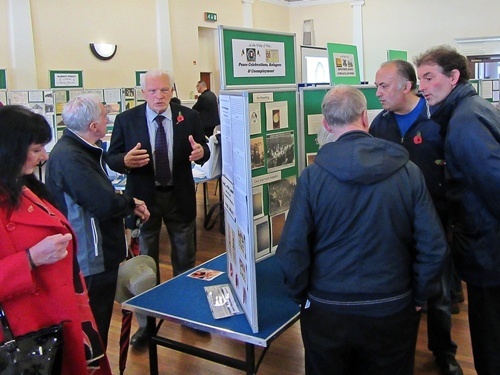 There are regular exhibitions by Westhoughton Local History Group which focus on the town and its history - last year saw fascinating displays taking visitors into the world of 'Westhoughton in the Wake of World War One', detailing 100 years after the Armistice the impact of the war on the town; those who never returned, those who fought and survived, and how the town picked up the pieces. 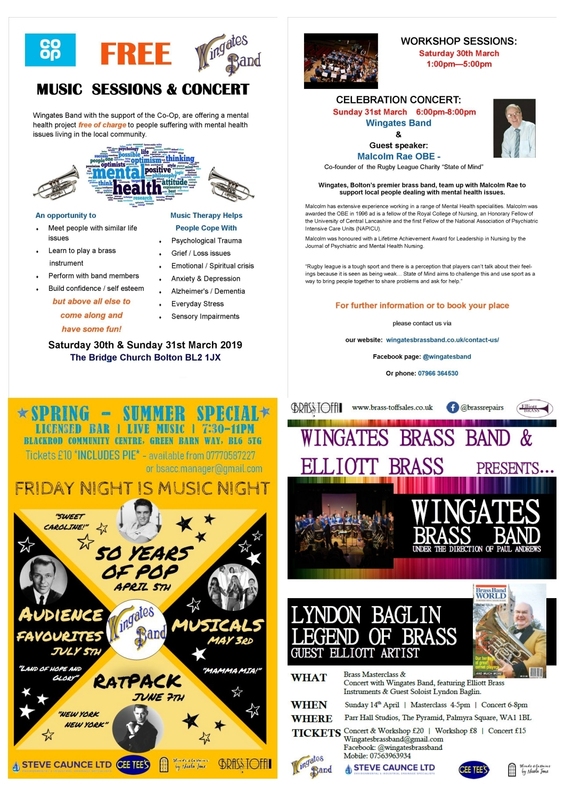 See also permanent exhibits showcasing Wingates Band and their long history, approaching 150 years, upstairs at the library. 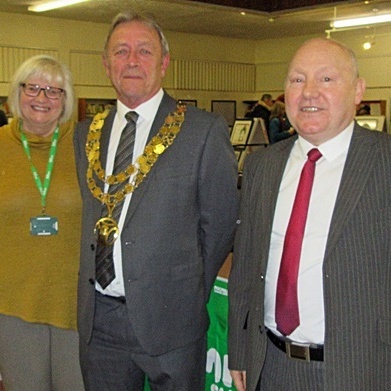 There are some fascinating displays, photos, artefacts and models covering local history, clubs and organisations, and the changing face of the town - from mining to cricket to railways to housing estates. Worth a look, and of interest to young and old, whether born here or a newcomer. Watch out for occasional short courses run in conjunction with Bolton College or learning providers, such as the 4-week Computer Tablets and a Family History. Ask at Library for upcoming courses - or suggest things of interest. Now available a Home Library Service - a free home delivery service for Bolton residents subject to eligibility.